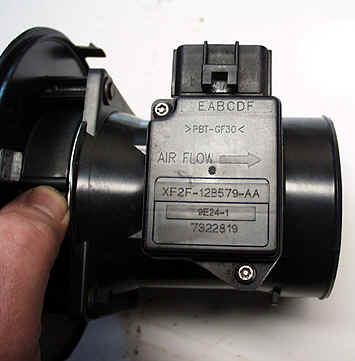 If you have a late model Ford vehicle, the engine likely has a Mass Air Flow sensor. 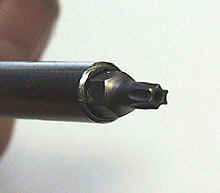 In simple terms, this component detects the amount of air being drawn into the engine so that the control computer can determine the correct amount of fuel to feed the engine. 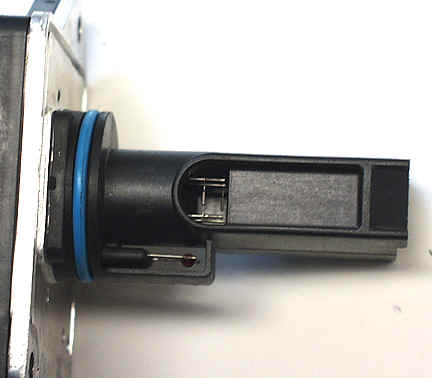 Over time the sensor becomes coated with a thin layer of grime which impairs its ability to give an accurate reading to the computer. 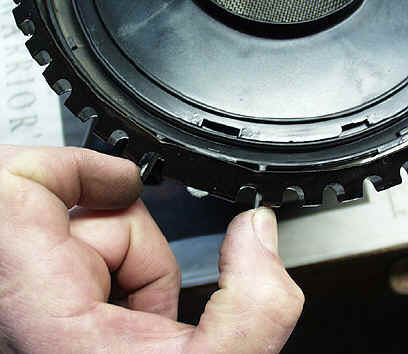 One typical symptom is ignition knock or pinging. We have a 1999 Ford Windstar SE minivan with the 3.8 V-6 engine. We purchased it new and have enjoyed its versatility and comfort. Around 40K miles we noticed an occasional light combustion "knock". As the miles accumulated the knocking increased in occurrence and sound level. The owner's manual states that occasional light knocking is considered normal. Eventually, it became almost constant and under certain load conditions . . . unnervingly loud. I was about to schedule an appointment with the dealer when I read on one of the online Ford newsgroups of someone who had cured knocking on their Ford 4.6 V-8. 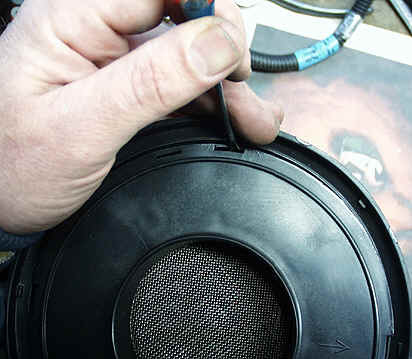 They had simply cleaned the MAF sensor. I tried it on our Windstar and the knocking was 90% gone. I attribute the last 10% as being the "normal" occasional knocking stated the the owner's manual. After accumulating another 20K miles the ignition knocking was increasing so I decided to clean the MAF again only this time I took some pictures to document the procedure and share it with others. NOTE: There is a definite possibility of damaging the MAF or the wiring or anything else you may have to handle in performing this procedure. You are responsible for the work you perform. I offer this information in good faith as it has worked perfectly for me with no undue consequences. Last but not least, there is a link at the bottom of this page to another procedure which details a simple procedure to remove carbon buildup in your combustion chambers. Carbon buildup is another common cause of pinging and you may wish to consider performing this, but it is not without risk. I have just replaced the MAF on my Windstar after discovering that Ford issued a TSB (Technical Service Bulletin) some time ago. Here's the symptoms and vehicles affected. Malfunction Indicator Lamp (MIL) Illuminated. DTCs P0171, P0172, P0174, P0175 may be stored in memory. Ford does not prescribe cleaning as a fix but only replacement. After a second cleaning of the MAF my Windstar started knocking after just a few weeks. It has also been lightly surging/bucking at freeway speeds. I figured it was time to just replace the dang thing! Try www.fordpartsonline.com for low prices on factory ford parts. I still offer the cleaning procedure below as that should be the first thing to try should you be experiencing problems as described above. This is what the intake system on our '99 Windstar looks like. Your vehicle may differ and could be simpler. 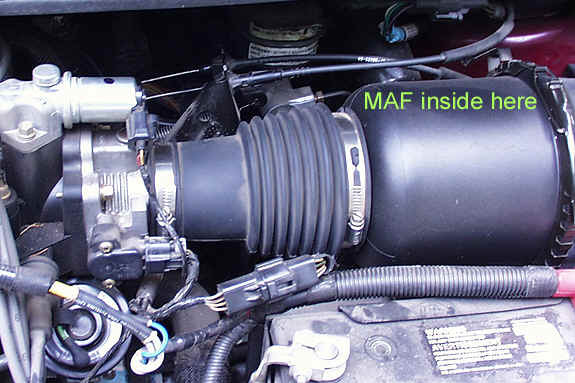 The MAF here is buried inside a plastic housing. 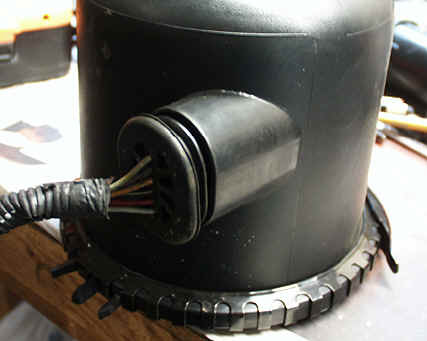 I removed the rubber "accordion" boot first by loosening the big hose clamps on each end. There is a plastic tube inserted into the boot on the back side which needs to be pulled out also. With the boot out of the way, the large circumference clamp can be popped loose. 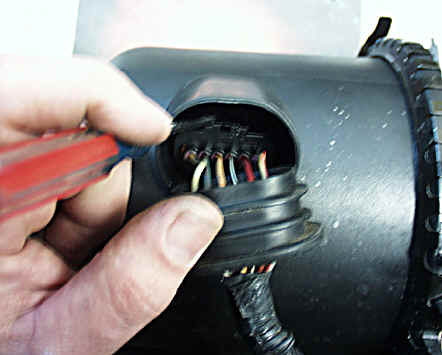 The wiring connection is shown there at the upper corner of the battery. Disconnect that and you can take the whole housing over to your workbench for disassembly. Start by wiggling the weatherproof boot out of the hole. Careful! You're putting a fair amount of strain on the wires. on the wiring connector and then pull it out. Let's get the large circumference clamp out of the way. on the end of the housing. Here's the working end of the MAF. and a resistor looking thingy off the side. thingys hanging off the working end of the MAF. There you have it. Reassemble the whole mess, cross your fingers and turn the key. With a new MAF costing around $150, I have so far saved myself $300. A fellow online says he does it once a year as a preventative maintenance. Hope his is easier to get at than mine. Be careful with those little sensor wires in the MAF. Don't poke them with the spray tube or try to brush them clean. Just spray them down good - even a couple of times - to remove the grime. Don't use brake or carb cleaner. You want an electrical cleaner that does not leave a residue and is not so harsh that it will melt the plastics. Good time to replace the air filter - just DO IT! If you still experience some pinging or if it soon returns, you may wish to try the next step. Click this link to see how to "STEAM CLEAN" your combustion chambers.